The kindle was dropped by my 6 year old and got a diagonal crack right across the front of it. It was not protected or in a case. If it had been in a Trident Case this wouldn't have happened! The Trident Case comes in three parts. They are put together when you get it. The instructions are on the inside of the case.. hmmm. I didn't want to break anything, but did have to pull and push a little to get the three apart. No troubles though, it was rock solid and didn't have any issues with yanking it apart. 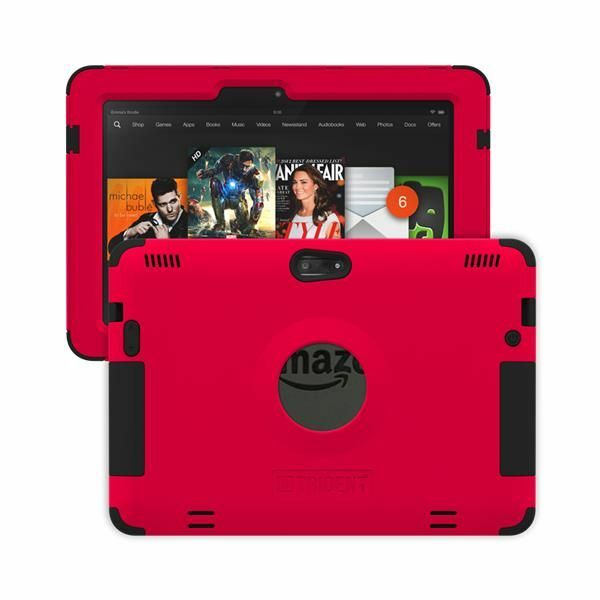 The three components consist of a hardened polycarbonate outer shell, a silicone insert and a front case with built in screen protector. My troubles.. I struggled with getting it to fit my kindle. I thought I had a Kindle 7, but with the recent changes in Kindle, and adding new sizes and changing the names, now I am not sure. I did read other reviews that said they had a hard time getting it on, that it took several tries to get it. We managed to get on the silicone insert and the back layer, but couldn't get that top lid on at all. We are using it just like that. I figure it is better protection than nothing! I dont' know that it was the Kracken case that didn't fit, or just my error in figuring out what kindle I had. The Trident case comes in the following colors; Black, Blue, Grey, Pink, Red, Trident Green, and White. I chose white to make it unisex and the broken kindle is now considered the "Kid Kindle". No problems with it getting grimy or anything which I was surprised. I think personally that the Trident case for an iphone would be fantastic. The phone doesn't change as often as the Kindle seems to, and I think there is better chance for success in it fitting. See what other crew members thought by clicking on the link below.